One of the best aspects of being amongst enthusiastic people, is that their enthusiasm can become infectious. Here today, in São Carlos Brazil, I have been surrounded by colleagues whose commitment to learning, and in particular their passion for research, has been affirming. 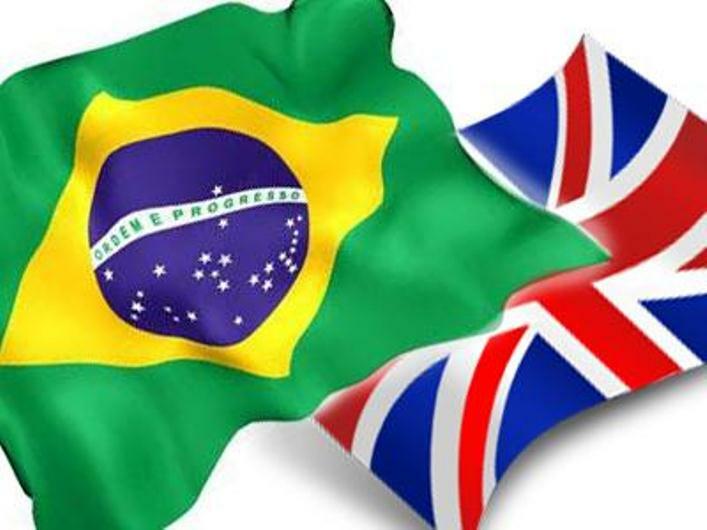 For the next three days, researchers from the UK who are the early stages of their academic careers, will work alongside a similar group of colleagues from Brazil exploring issues of research into the inclusion of learners with disabilities and special educational needs. Through the good offices of the British Council, these keen investigators have been brought together to explore ways in which they may collaborate in the further development of research and exchange of knowledge and ideas. My role in this process, along with that of other well established academics from Brazil and the UK, is to support and facilitate activities, and to encourage these dynamic individuals to form partnerships for exploring ideas around inclusive education. Today, the most stimulating and important activity has been a series of presentations given by some of these new researchers, affording them an opportunity to exchange their ideas with a supportive audience. The range of topics covered has been diverse and interesting. Research into access to learning for students who are multi-sensory impaired, an investigation into cultural interpretations of autism, the experiences of students with disabilities in Brazilian universities, explorations into ways of teaching mathematics, and an analysis of school refusal behaviours in looked after children, were just a few of the topics discussed. Each presenter demonstrated a thoughtful approach to developing a research project and a critical analysis of what they had discovered. Many themes emerged from today’s presentation, but one that I had not anticipated comes immediately to mind. Several of today’s researchers raised issues related to the influence of spatial aspects of the management of educational provision. In some instances these revealed specific challenges that need to be confronted if progress towards inclusion is to be made. Elizabete Renders provided an interesting observation of a deaf student, attending university in Brazil. In order to assure access to learning, this student is accompanied by a signed communicator who works with him in every lecture and seminar session. However, Elizabete recorded that students in the sessions where this young man was present, spent much of their time watching him and the lady supporting him. This raises questions about his personal space and how self-conscious he may be in this situation. There are also issues about the degree to which students are distracted from their lectures by watching this activity. A second session presented by Sean Bracken considered the control that teachers exercise over learners with special educational needs in terms of where they locate children in classes. His research suggests that teachers have clear ideas about where they wish to place children in the classroom based partly upon their individual needs, but more because of the need to exert control, and that this may mean that they have less opportunity for participation in some activities. It would seem that some teachers, in their need to ensure that they are controlling learners, give less attention to providing space that is conducive to learning. A further presentation from Prithvi Parepa examined cultural interpretations of autism. He too found matters related to personal space to be a factor in his work. Prithvi discussed the challenges that parents experience when their children have a limited understanding of the personal space of others, and intrude upon this, with no ill-intent, but simply as a result of lack of understanding. This may seem like a small matter to some people, but to parents it can be a cause of considerable stress. I was particularly impressed today that in expressing their findings, these researchers demonstrated a great empathy for the subjects of their studies. Each had identified potential obstacles to learning experienced by the individuals in their studies, and had sought not only to understand these, but to discuss possible ways of providing support. Over the next few days these colleagues will be forming partnerships with others who, before today were unknown to them. This is an ambitious aim, but having met these dedicated professionals I have every confidence that much will be achieved. This is the next generation of researchers who face the responsibility to move inclusion forward through what promises to be a stormy time of social upheaval and economic challenge. Having met them, I see every reason to be highly optimistic. 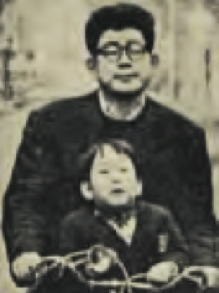 The Japanese Nobel Prize winning writer Kenzaburō Ōe with his son Hikari. It was only three years ago that I discovered the writings of the Japanese Nobel Laureate Kenzaburō Ōe. I first read his novel Nip The Buds; Shoot the Kids. This is an angry book that tells the tale of a group of outcast boys evacuated from an institution during wartime, who undertake an ultimately doomed attempt to live an autonomous existence in a remote mountain region. The tale seethes with indignation, the author’s fury standing out from the page as he presents his story of the ways in which the young men at the centre of events are despised and misinterpreted by members of the local community. I must admit that I found the book quite shocking when I read it, yet I was also intrigued by what could have motivated Ōe to write in such terms. Determined to pursue this issue further I turned to a later novel Rouse Up O Young Men of the New Age! and also began to investigate more about this extraordinary writer. This second novel is no less powerful than the first. It tells the tale of K who lives in Tokyo with his wife and three children. The eldest of these three, in his late teens, is a young man with a learning disability. K and his wife, throughout the book wrestle with coming to terms with the changing nature of their son’s difficulties, and in particular the fact that he at times becomes aggressive towards others and appears increasingly difficult to manage. The book is full of complexities, not the least of which is K’s attempt to make sense of his son’s world through the poetry of William Blake. These are intensely personal novels and it was with very little surprise that I discovered that in real life Kenzaburō Ōe is the father of a son who has limited language and motor skills, and an inability to express his emotions clearly and is therefore often described as being on the autism spectrum. This acutely personal experience explains the intensity with which he is able to write about the complexities of family life in Rouse Up O Young Men of the New Age! and the difficulties of identity associated with his characters in Nip The Buds; Shoot the Kids. Many parents of children with disabilities can articulate the challenges that they have faced in bringing up their sons or daughters. Often they will speak of the ways in which their children are seen as “different” and even “difficult.” But few have the skills of a Nobel prize winning author with which to express their experiences and emotions. Kenzaburō Ōe’s novels provide a unique insight into the complex relationship between a father and his son. Yet there is one more angle to this family saga that makes this situation extraordinary. Today is World Autism Awareness Day, declared as such by the United Nations General Assembly in 2008, to highlight the need to improve the lives of children and adults diagnosed as being on the autism spectrum. 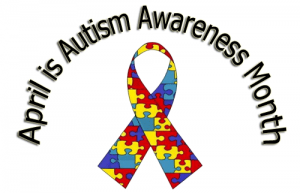 There are many events going on around the world today to recognise this occasion and many people working hard as parents, carers, teachers or in other capacities to support those who have been diagnosed with autism. 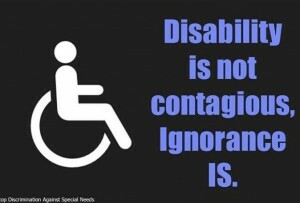 Raising awareness is important if we are to create a more tolerant and inclusive society. So as my small gesture towards World Autism Awareness Day I leave you with an opportunity to listen to three short pieces, Adagio in D Minor for Flute and Piano, Grief Number 3 for Piano and Nocturne 2 for Flute and Piano composed by Hikari Ōe. Click on the link below and you will also see a photograph of the composer as a young man with his father and mother, and at work at the piano. Apparently Hikari Ōe continues to have only limited speech, but I believe that he has certainly found his voice. Who should feel the shame? This weekend an article in The Guardian newspaper caught my attention and gave me cause to despair about the ground we still have to cover in working towards a more just and inclusive society. Writing under a banner headline “What my autistic brother has taught me about fear, ignorance and shame,” the journalist Rhiannon Lucy Cosslett describes how she was recently accosted by her boss who declared that he was fearful for the safety of his daughter when her brother who has been diagnosed as having autism, was present with her in the same playground. Rhiannon described her feelings of hurt and anger when realising that through ignorance of her brother’s needs, this man felt it necessary to express his anxieties about a young man who is completely innocent of any ill-feelings towards others. The journalist continues her article by describing the negative experiences of others who have been diagnosed on the autism spectrum, including Faruk Ali, a young man who was allegedly beaten by two police officers on the grounds that he was behaving in a suspicious manner outside of his home, and Josh a teenager who was handcuffed and forcibly removed from a public swimming pool when he didn’t understand what was required of him. Rhiannon ponders on what might be done to improve this situation. This might she suggests, include the training of police officers in order that they are sensitised to the needs of individuals who are perceived as different, whether this be as a result of their autism or other issues. But then, as she rightly states, this is not simply a matter of training police officers, it is much more about addressing the ignorance that is commonly encountered in many sections of the public. Sadly this article and its subject matter came as no surprise when I read it yesterday. I recall when I was a head teacher numerous occasions when parents reported similar experiences to me. They recounted times when individuals had demonstrated fear, misunderstanding and ignorance about their children in a whole range of situations. Often this would be shown by simple acts of avoidance, such as crossing the road to prevent contact or moving their own children away in playgrounds or the park. At other times this might extend to making comments, such as the parent who reported to me that a woman had removed her children from a local stream where they were feeding bread to ducks with a very audible “let’s move further along the bank away from the nasty boy!” This particular parent of a child with Down syndrome told me that she had wanted to push this woman into the stream, but instead she just stood there and cried. Fortunately, for every act born out of ignorance, such as those described in the Guardian article or that reported to me by a parent, there are others which show the kindness and consideration of people who may not always understand but want to ensure that they are demonstrating their decency. I recall for example the young man who on seeing me dealing with a pupil having an epileptic seizure on a school trip immediately came across and took off his coat to wrap around him, asking what else he might do to help. Or the lady who seeing me struggle, got off a train in a railway station to assist me to board with a student who had limited mobility. In my memory these simple acts of kindness far outweigh those negative experiences I have had when out with children, but maybe this is because as a teacher I was not so often placed in the situation that parents and carers face on a daily basis. Of all the issues that Rhiannon reported in her article it was the assertion that she felt shame that I found most distressing. What had she done to deserve feelings such as this? Far from feeling shame, I believe she should take pride in the fact that by using her skills as a journalist and demonstrating her simple humanity as a sibling, she is bringing this issue to the attention of a wider public. Furthermore, rather than simply accepting the effects of ignorance she is taking direct action on behalf of others who may feel less confident to confront the bigotry and thoughtlessness that they have experienced. Ignorance and fear are often founded upon lack of familiarity. 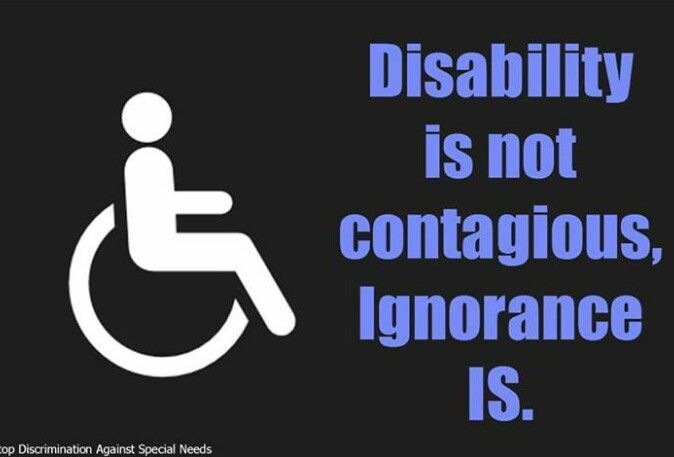 It is still a fact that many children go through their schooling with hardly any contact with others who are described as having disabilities or special educational needs. Where do they have an opportunity to gain an understanding of the great diversity and individuality which exists within our populations? It is to be hoped that as more children attend schools that are inclusive in nature and provide opportunities for a celebration and appreciation of such diversity, the ignorance that leads to such negative attitudes will lessen. Whilst it is unlikely that we will ever fully remove the discrimination towards individuals who appear different from ourselves, it may just be that the ways in which we educate our children and organise our schools can make a significant contribution towards the eradication of prejudice and ignorance. A link to an on-line version of Rhiannon Lucy Cosslett’s Guardian article is given below. Are you really the professor of inclusive education? A knock on the office door distracts my attention from the computer screen, I look around and through the glass wall I see a young woman. Young woman: Hello are you Professor Rose? RR: Yes. Richard will do. How can I help? Have a seat. Young woman: I’m Sandra, I’m a second year student and I’m just starting school placement. RR: That’s good, I’m sure you’ll enjoy the experience. RR: Of course, ask away. I’ll certainly help if I can. Sandra: I have a boy with autism in my class, what should I do? RR: What do you mean? Sandra: What should I do with this boy? RR: I have no idea. What do you think you should do? Sandra: How should I teach him? RR: I have no idea. How will you teach the rest of the class? Sandra (looking alarmed): Aren’t you the professor of inclusive education? RR: So they tell me. Sandra (becoming a little irritated and probably wishing she’d never come here): He has autism. I thought you would know about autism and could help me. RR: Ok Sandra, let’s talk about this boy and what you know about him. Then we might be able to share a few ideas. I do want to help, but maybe we are asking the wrong questions. Scenes similar to this have been played out in my office a few times over the years. The problem is I have a title, and this particular epithet conveys a message that indicates knowledge. In one sense I suppose I do have a certain repository of information, including some relating to autism spectrum disorders. But as the saying goes, a little knowledge is a dangerous thing. At some point Sandra has probably sat in a lecture theatre with a hundred other students when I have been led in to talk to the assembled masses about some aspect of promoting inclusive schooling. Sadly I see very little of undergraduate students and when I am placed in front of them in this manner I feel a bit like the late Queen Mother – wheeled in to say my piece at the opening of some special occasion. Whatever the event might have been Sandra in a somewhat deluded manner seems to think I have the answer to all her classroom problems. I have no doubt that Sandra is going to be an excellent teacher. She is bright, inquisitive and thoughtful; all characteristics that we hope to see in those who work with children. I am sure that after this initial part of our conversation she was thinking that she had made a wasted journey along the long corridor at the end of which my office is located. I hope that by the time she left, half an hour later, she was feeling more positive about the visit. Sandra was suffering from the kind of apprehension that I have witnessed in other undergraduate teaching students about to embark on a school placement, where they are expected to hone their newly acquired classroom management skills. She has been presented with a class list and a few notes about the individual pupils with whom she will work over the next few weeks. There, in bold letters designed to strike fear into her heart next to the name of a boy on the list are the initials ASD (autism spectrum disorder). This might equally have been ADHD (attention deficit hyperactivity disorder) or SEBD (social, emotional and behavioural difficulties) or one of a number of such labels conveying the message that this boy is going to be difficult to teach. I can quite understand why the label assigned to this individual child stood out in Sandra’s mind far more than his name. Almost everything we read about pupils on the autism spectrum begins with a discussion of “deficit characteristics”. Wing and Gould’s triad of impairments immediately raises expectations that this boy and his teachers will have difficulties communicating to each other, that he will lack basic social skills and be unable to empathise with his peers and in addition he will be inflexible in his thinking. These are indeed characteristics that we see in individuals that bear this label. However, these alone are not terribly helpful as we plan to teach the specific child. Over the next half hour Sandra and I discussed Kevin (a far more fitting label for this child) and tried to think about how we might set about to plan for his needs. We talked about finding out about his likes and dislikes, his patterns of behaviour and routines, the ways in which he is perceived by his classmates and whether he relates to any particular individuals in the class. We covered the familiar ground of structured teaching, the use of visual support and the necessity to differentiate teaching and celebrate learning, both formal and informal. We also discussed the fact that many of the strategies and ideas we had explored would benefit all learners and need not be restricted to an individual simply because he is said to have a special educational need. At the end of the visit I think Sandra left a little happier than when she arrived. We had discussed ideas and considered the nature of what might be termed inclusive teaching, (though I never used this expression for fear of frightening her away). I told her that my door is open and she can return at any time. The very fact that she arrived at my office indicates that she is a thoughtful teacher who wants to do the best for all the pupils in her class. I have no doubt that Kevin will benefit from her care and professionalism and it seems to me that Sandra is destined to become an excellent teacher. In particular I asked her to come back and tell me more about Kevin, but begged her please not to tell me about his “diagnosis”. Hopefully she now has a less stereotypical view of children described as autistic. 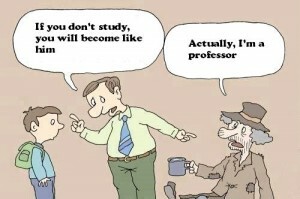 I suspect her perception that all professors are slightly mad will be less easily changed!